HONOLULU — Patton Kizzire took longer than expected to reach the PGA Tour, but he figures every step was a learning experience. That includes his first victory, which came at Mayakoba, his six-hole playoff win at the Sony Open last year and even one of the more embarrassing moments last year. He played with Tiger Woods for the first time. Kizzire was so nervous on the opening tee shot at the Honda Classic that he hooked it into a palmetto bush and had to go back to the tee. He had rounds of 74-78 to miss the cut. "Right there at the top," he said Tuesday. "At the time, I don't realize how good it is for me, but things that get me so excited I can hardly even perform and what makes me better. That was one of them. ... As painful as they are, those help." He had been a fan of Woods for as long as he could remember, and appreciated that he was the biggest star in golf by some margin. Watching on TV was one thing. Being announced to him on the tee was different. 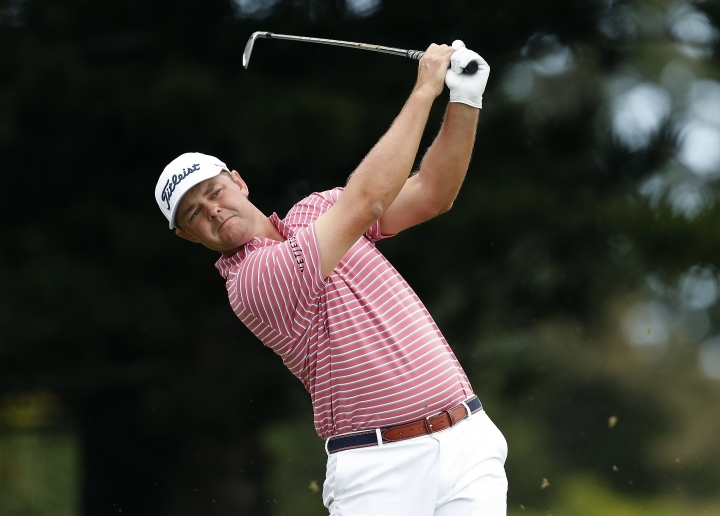 "I'll feel more comfortable next time I play with him," Kizzire said. "I had a funny Instagram post after I played with him. It was like a first date with Tiger. I was pretty nervous, but soon I'll be farting in front of him." Kapalua is shutting down the course next month for Bill Coore and Ben Crenshaw to begin a restoration project that will include a new surface, new greens, bunkers, pretty much everything from tee-to-green. "Every single item on the golf course will be touched," said Alex Nakajima, general manager for golf and tennis at Kapalua. Coore was delighted to hear the grass Kapalua chose is "Celebration Bermuda," which he said was key to making the Plantation course play how it's intended — fast. The last several years, the course has played soft. Previously, the 4-iron Gary Woodland hit into the 18th green would not have stopped rolling until it was on the green. Coore recalls telling one resort guest years ago to hit a club he normally hits 150 yards to the seventh green, even though he had 250 yards. It rolled to the green. "For the average player, the course has become much harder," he said. "For the best players in the world, the course has become much easier." Under the revamped scoring system at the Tour Championship this year, the top player in the FedEx Cup starts the tournament at 10-under par, with the second player at 8 under and on down until the last five players in the 30-man field starts at even. So the winner of the Tour Championship — and the FedEx Cup — might not have the best score that week. One problem is what to do about world ranking points because of the staggered start. PGA Tour Commissioner Jay Monahan says he can imagine the Tour Championship getting ranking points. "If I imagine it in general, I think it will," he said. The tour already has presented a proposal to the Official World Golf Ranking board, and a decision could come as early as April. One scenario that makes the most sense is to keep score where everyone starts even, like a regular tournament, and award points accordingly. More than leaving the flagstick in for putts on the green, the one new rule that got plenty of chatter in the first tournament of the year was the knee-length drop. 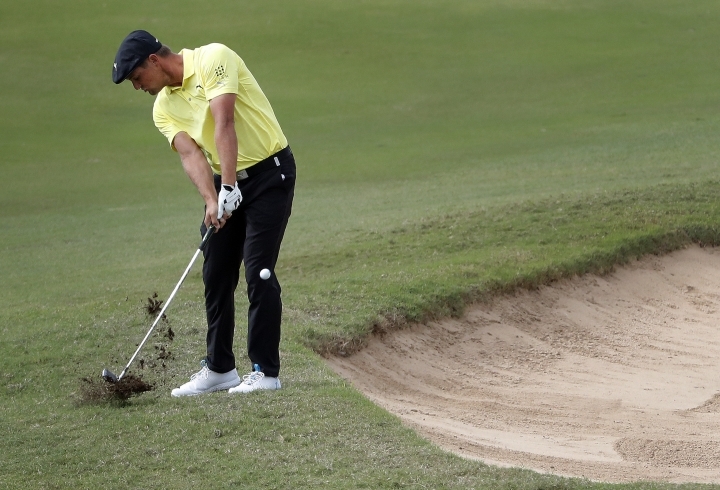 "A bit absurd," Bryson DeChambeau said. The question is how much attention it gets in a month. The reason for the change from shoulder length was to get the ball in play. The original proposal was to drop it an inch above the ground, which was changed to eliminate any questions whether the ball was dropped or placed. Some rules experts felt it was important to retain a randomness of the drop. 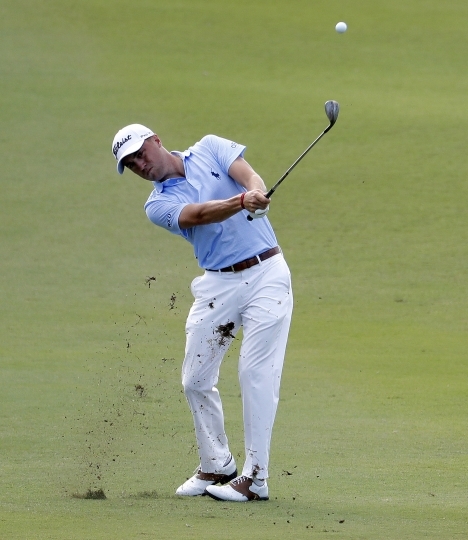 The trouble at Kapalua was how it looked, with players at times looking like ballerinas trying to make sure the drop was level to their knees. "I think the optics will become more comfortable over time," said Thomas Pagel, senior managing director of governance for the USGA. "Think about what it was like at first when we went to shoulder height instead of dropping it over the back." For the first time since 1999 at Kapalua, players had to walk the steep hill to the fourth fairway at the Sentry Tournament of Champions. Previously, they were given rides in carts to the crest of the hill. For starters, it has to do with a tour policy of only one person in a cart for insurance reasons. That's why the tour has four- and six-seat carts handy whenever there is a playoff. Mostly, however, it was because there were not enough carts to go around. Most of the carts were used for the long shuttle between the ninth green and the 10th tee, not so much for players and caddies but the players' friends and relatives who wanted rides, along with the walking scorer, standard-bearer and other support staff. Amazingly, no one pulled a hamstring. Equally amazing is why the players were given rides up the hill in the first place. It was in 2000, and described by one PGA Tour executive as a "pace of play" issue (with a 30-man field), and the same year the PGA Tour was fighting a federal lawsuit by Casey Martin by saying that walking was an integral aspect of golf. Dustin Johnson and Brooks Koepka are among those playing in Abu Dhabi next week, just like Rickie Fowler, Phil Mickelson and Tiger Woods have in previous years. It's a strong field, with appearance money as the main attraction. That's the reward for great golf. It's just not appealing yet to Justin Thomas. Since cracking the top 10 in the world, Thomas has played only one time overseas except for PGA Tour-sanctioned events. The exception was the French Open last summer at Le Golf National, site of the Ryder Cup in the fall. "I didn't get a dime to go to France last year," Thomas said. "It worked in the schedule because I didn't want to take three weeks off. And it would have been a big deal to win a European Tour event, something I haven't done. I knew it was going to be a good field. World ranking points, there would be a fair amount. And it was an opportunity to go to France and check out the golf course." Thomas said he has received plenty of offers to go elsewhere. He just hasn't found the money to fit with his goals. "It's nice to get a good check," he said. "But I don't go to tournaments to get a check. The most important thing for me is to make sure I'm ready and fresh to win tournaments." Rod Spittle and college golf coach Herb Page have been selected for induction into the Canadian Hall of Fame. ... The Web.com Tour added another event to its schedule with the Dormie Network Classic, to be held April 25-28 at Briggs Ranch Golf Club in San Antonio. ... The PGA Tour has expanded its agreement with Twitter to distribute 140 hours of live competition from "PGA Tour Live." The agreement allows the first 60 to 90 minutes from morning hours of all four rounds on PGA Tour Live. Seven of the top 10 players in the world ranking are in their 20s. "It does reflect on my career how this goes." — Padraig Harrington, a three-time major champion on being chosen Ryder Cup captain for Europe.